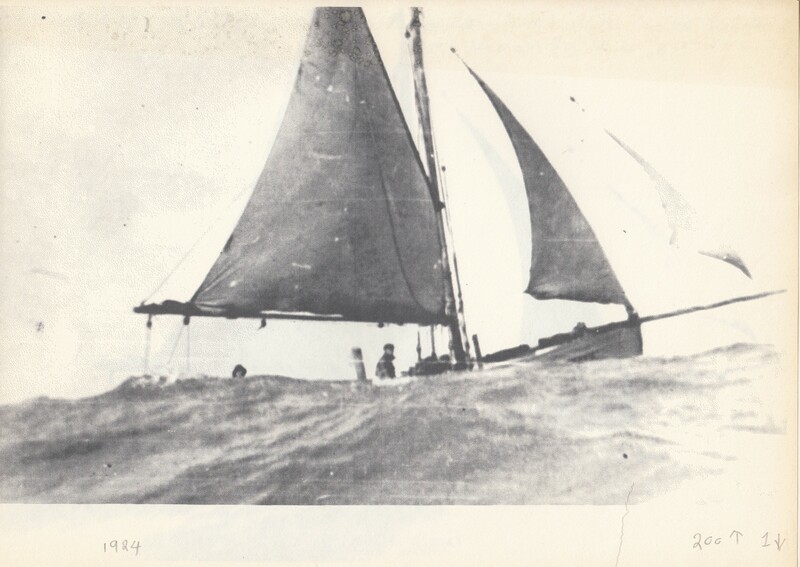 “Alice Allen”, LR 170, in heavy seas off Rossal Point, Fleetwood in 1928. “Alice Allen” was built by Crossfields of Arnside in 1916. She was smack rigged with mainsail, topsail, foresail and jib. She was 32ft 5in overall with a beam of 10ft, weighed 9.9 tons, and carried a crew of two. She was registered at Lancaster as LR 170.